Emergency Response Landing - Gridless Power Off-grid, clean, rugged solutions for your toughest power problems. Gridless designs solar batteries with the capacity of a generator. The key to a swift and effective response to an emergency is communication. Whether it’s a fire, a terror attack, or a natural disaster, teams need to be able to coordinate between themselves in order to stay on top of the threat and keep people safe. With the Gridless, your team is equipped for everything from emergency comms and radio charging to a remote command center complete with laptops and phones. 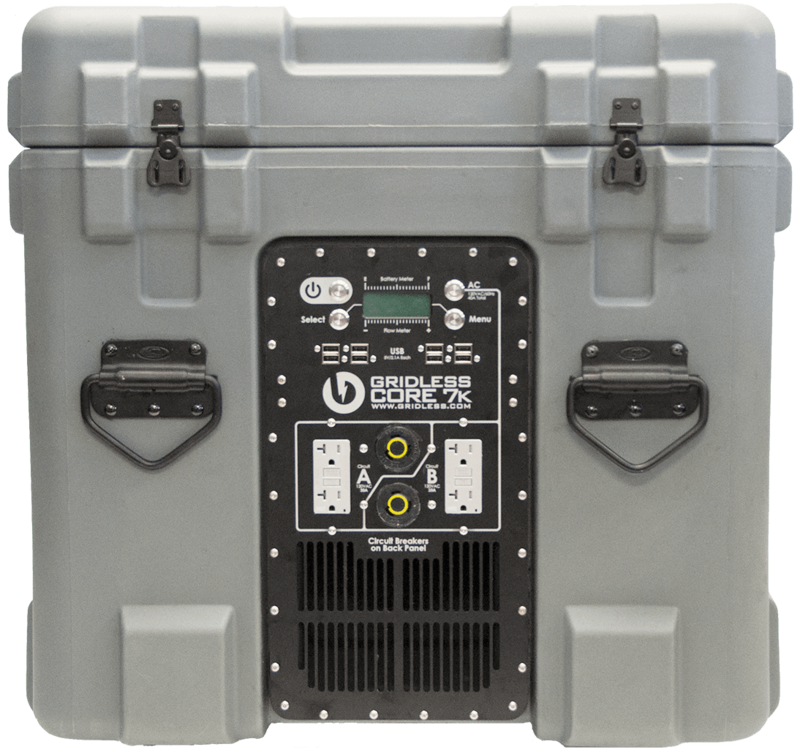 The compact Gridless packs over a kilowatt of power into its rugged case, meaning you can take it anywhere.